Phenol Swab-it's have been classified by MHRA not as a medicine, but as a medical device. 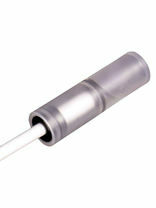 This allows CE Marking as opposed to a full medical product license. They are indicated purely for use in the treatment of nail matrixectomy. Phenol is contained within a small ampoule, with cotton bud applicator attached. Each ampoule contains between 0.175ml and 0.20ml of Phenol Liquid 89% USP. 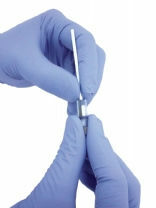 The swab is positioned so that only the swab can be used to access the phenol. 12 Swab Pack - contains 12 individually packed swabs and 12 spare smaller cotton applicators. 30 Swab Pack - contains 30 individually packed swabs and 30 spare smaller cotton applicators.